Thanks to advances in Medicine coupled with an overall better quality of life in the United States, we can all look forward to a significantly longer average life expectancy than we would have had just a couple of generations ago. The natural aging process, however, will catch up to all of us eventually. When that happens, physical and/or mental deterioration may make help around the house a necessity. 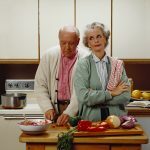 Paying your caregiver under the table may seem like a win-win situation; however, the North Andover elder law attorneys at DeBruyckere Law Offices explain why paying a caregiver under the table is actually a bad idea for both you and your caregiver. Do You Need Caregiver Services? Understandably, most seniors want to live out their lives in their own homes. AT some point, however, you may suffer from physical and/or mental disabilities that make living at home without assistance unsafe. At the same time, you may not yet need the type of around the clock care provided at a long-term care facility. If so, an in-home caregiver may be the answer. While not nearly as expensive as nursing home care, in-home caregivers are not cheap. In Massachusetts, for 2018 the average cost of a home health aide was $62,000 and the average cost of homemaker services was $58,000. Some people decide that paying a caregiver “under the table” is the best way to save money. Caregivers will often accept less per hour when paid in cash because they do not have to report that income. Before you agree to this arrangement, there are a few things you should consider. 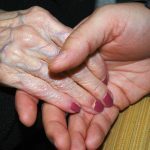 Paying a caregiver cash “under the table” may save you money in the short run, but it could cost you in the long run. To begin with, both you and your caregiver are likely committing tax fraud if you are paying him/her under the table. Whether the caregiver is an employee or an independent contractor, there is no question that he/she is working for you and you are paying for that work. Therefore, that income is required, by law, to be accounted for on the worker’s tax return. Moreover, you may have legal obligations that you are not fulfilling, such as providing workers’ compensation coverage and paying into the state unemployment insurance fund. 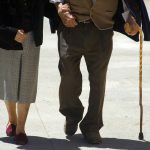 By accepting cash under the table, your caregiver is not protected by workers’ compensation insurance in the event of an injury – which is a very real potential risk for caregivers who are caring for the elderly. It could also result in the caregiver having no choice but to file an actual personal injury lawsuit against your family if he/she is injured while caring for you. You are also not paying into the Social Security and Medicare system on behalf of your caregiver. In turn, your caregiver is not getting credit for the wages paid to him/her. 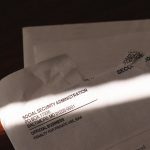 When it comes time for your caregiver to collect his/her Social Security retirement, the monthly benefit amount may be lower as a result of the wages you paid being excluded. One potential solution may be found in your state Medicaid program. Although predominantly funded by the federal government, Medicaid is administered by the individual states. As such, the benefits can vary some from state to state. 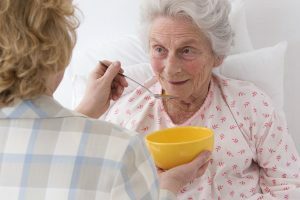 In most states, however, Medicaid covers some type of in-home services for the elderly and disabled. Even better – some states will actually pay a family member or close friend to provide caregiver services for you. If a loved one has already been acting as your caregiver, this can truly be a win-win situation for both of you. 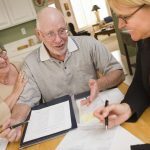 Because the Medicaid eligibility guidelines can be difficult to understand, and even harder to qualify under, it is always best to start incorporating Medicaid planning into your comprehensive estate plan as early on in your life as possible. For more information, please join us for an upcoming FREE seminar. 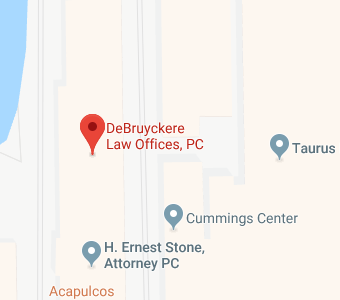 If you have additional questions or concerns about elder law issues, contact the Beverly elder care lawyers at DeBruyckere Law Offices by calling (603) 894-4141 or (978) 969-0331 to schedule an appointment.